RAFAEL Nadal has served notice that he will again be the man to beat at this year's French Open by downing Argentine Juan Martin del Potro 4-6 6-3 6-4 in the final of the ATP Masters in Indian Wells. 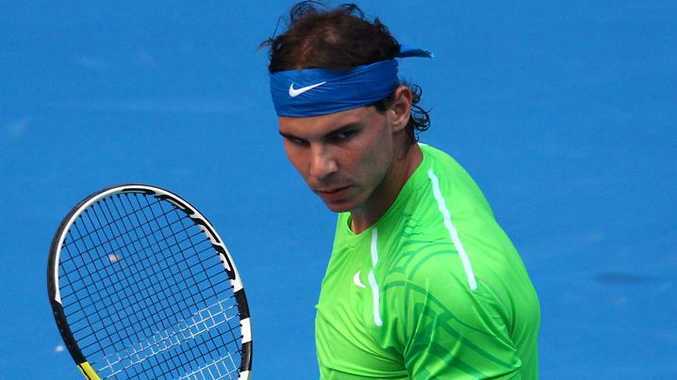 The win was the icing on Nadal's comeback cake after a seven-month absence with a left knee injury. After losing in the second round at Wimbledon last year, the Spaniard returned in last month's Vina del Mar tournament in Chile where he lost to Argentinian journeyman Horacio Zeballos in the final. Nadal then took out the Brasil Open at Sao Paulo before beating countryman David Ferrer in the final of the Mexican Open. The Masters marked the seven-time French Open winner's return to hard courts, and the win gave Nadal a record-breaking 22nd ATP Masters victory after he and Roger Federer shared the record coming into the Indian Wells tournament. It was also Nadal's 600th match win, joining Federer as the only active player to reach that milestone. The final was the 11th clash between Nadal and del Potro, the Spaniard taking his advantage to 8-3.